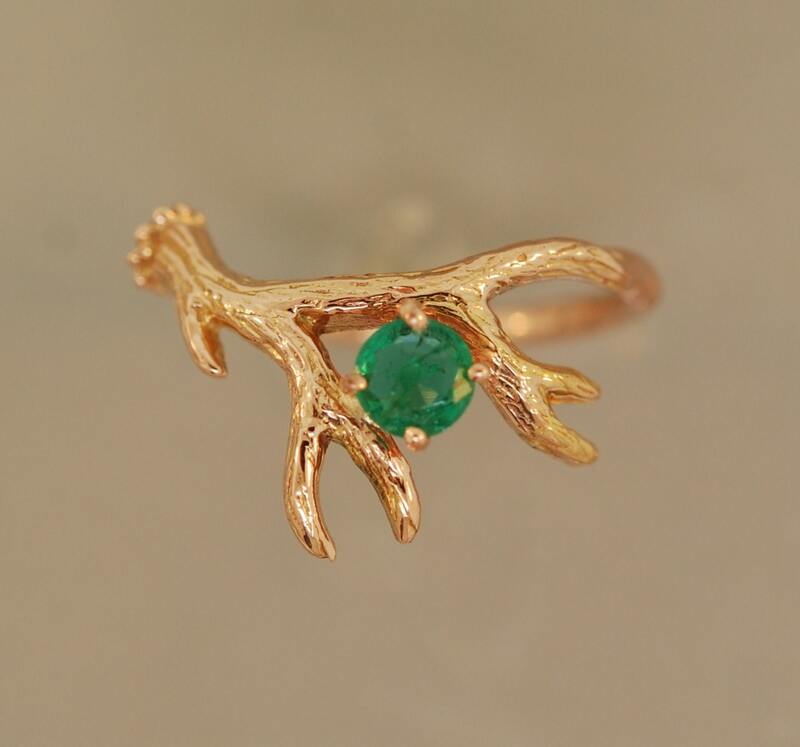 Antler 2 cast in solid 14 karat rose gold has just enough wild mixed with beauty to make it fun and a little edgy. 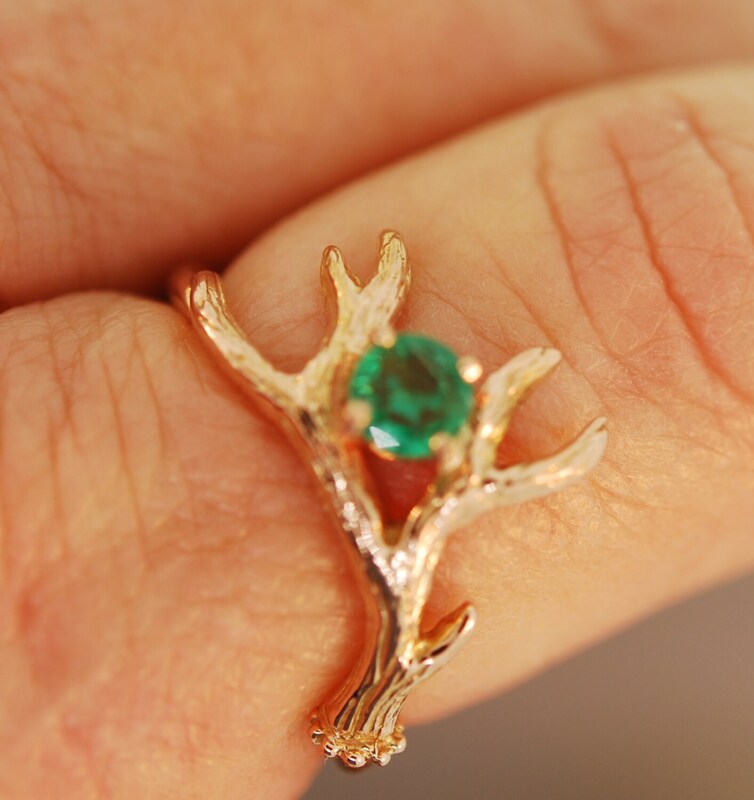 A 4.5 to 5 mm natural emerald is set between antlers. 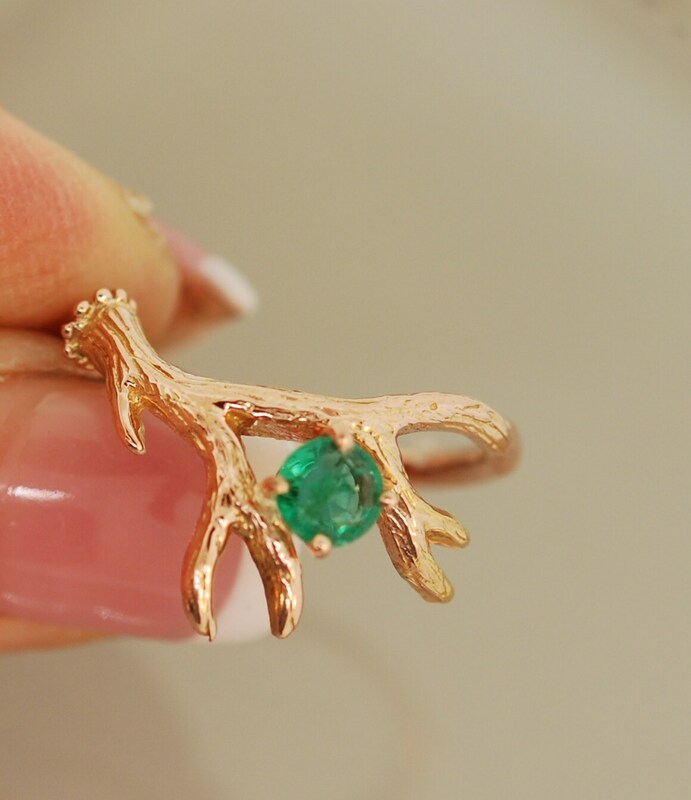 A great ring for the nature lover in you. This combination is amazingly beautiful . This in an original design. Please email me with any questions or concerns, I can make in other stone combinations and gold colors.